This week at the Melbourne International Coffee Expo, thousands of people will gather to watch the World Barista and Brewers Championships and wander through endless aisles of the latest coffee equipment. 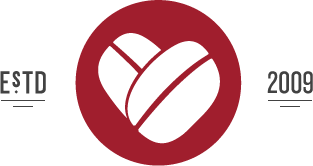 There will be meetings with coffee exporters from around the world and new product demos, all accompanied by a limitless number of drinks served from a myriad of complimentary coffee bars. Usually all this free expo coffee leads to lots of wasted paper cups, but the homegrown Australian company KeepCup is going to try and limit that waste. 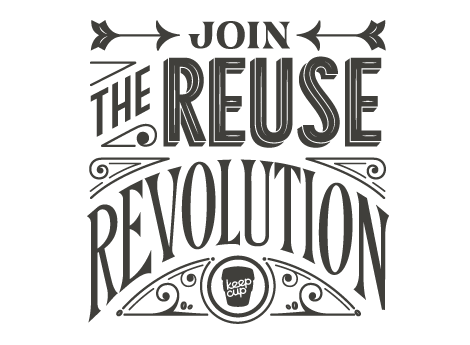 Coinciding with the launch of a new global campaign called “Salute the Reuser,” KeepCup will manage three wash stations at this weekend’s coffee expo where they’ll wash reusable cups (of any kind). Beyond just keeping your mug clean, they will be donating 10 cents for each cup washed to Coffee Kids, a non-profit that supports families in coffee growing regions. As the official Sustainability Sponsor of this year’s expo, KeepCup is tackling an issue that often gets discussed, but rarely addressed at these types of events, “how to reduce disposable waste.” I’ve used my KeepCup on planes, trains, boats and mountains—wherever I don’t have easy access to ceramic or glass, my KeepCup is there. 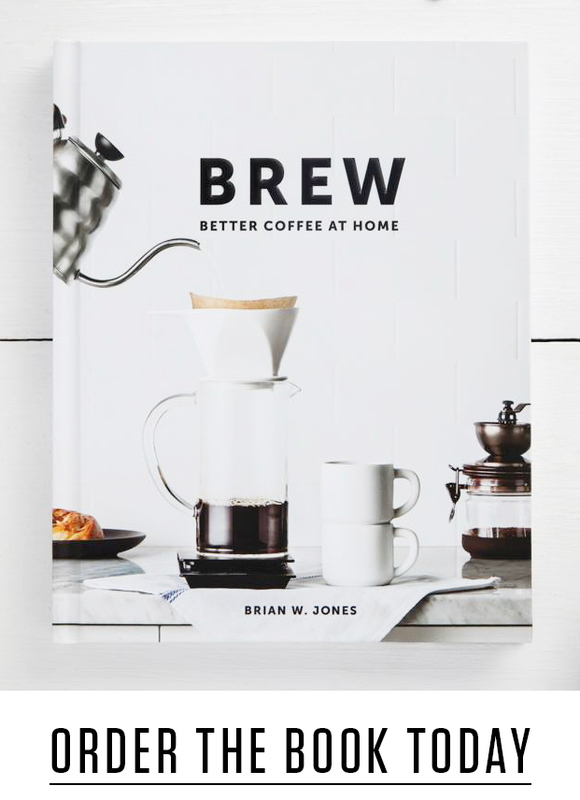 I’ve been an advocate of the KeepCup for some time (and even sell DCILY versions), not just for the practicality of the product, but for the authenticity of the brand and the contributions the company has made to the coffee community. 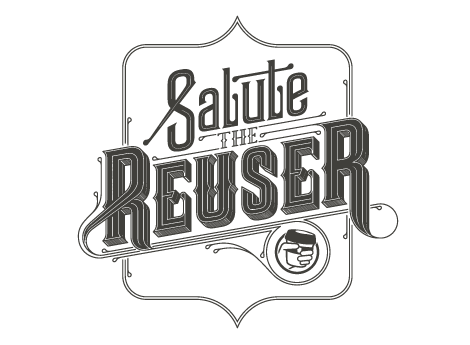 This is a a great initiative and we should not only salute the reuser, but also KeepCup for their continued efforts. 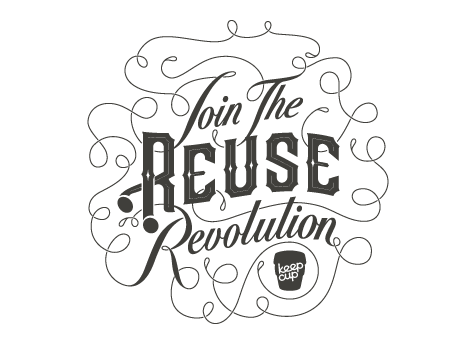 KeepCup has also worked with some of the world’s best letter artists, Jessica Hische and Timba Smits, to create several versions of their mantra for the campaign—they’d look great on a reusable tote. 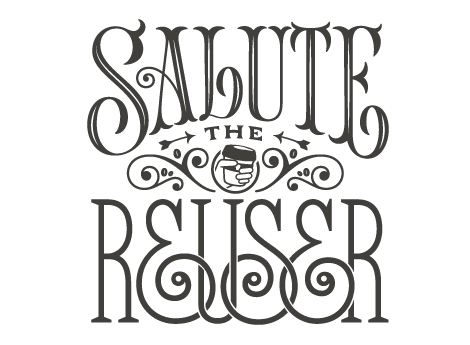 Salute the reuser and damn thy disposable.